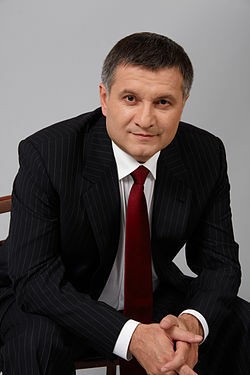 Arsen Avakov. Image from WikiPedia. Eight-year-old Tanya Chernobay went to visit the neighbours to watch a movie – [with] Hryhoriy Komarovskyi and Roman Mysochka, boys, 7 and 16 years old. This entry was posted in English, English News, Opinions, Others, Regіons, Social Media, South&Eastern Ukraine, War in Donbas and tagged #Arsen_Avakov, #RussiaInvadedUkaine, #Vuhlehirsk, #warinukraine, OSCE, Volnovakha. Bookmark the permalink.